Do you scrap your furry friends and include them in your family albums? Pets can be such a huge part of our lives and isn't memory keeping about preserving all the memories no matter how big or small? We were blessed to be given the chance to add this little pug-munchkin into our lives last year and he has filled a very important space in our hearts and home. So I decided he needed or perhaps 'I' needed to buy him his very own Santa Suit. He looked so adorable and the photo really was quite funny so I really wanted to give the whole layout a very whimsical look. 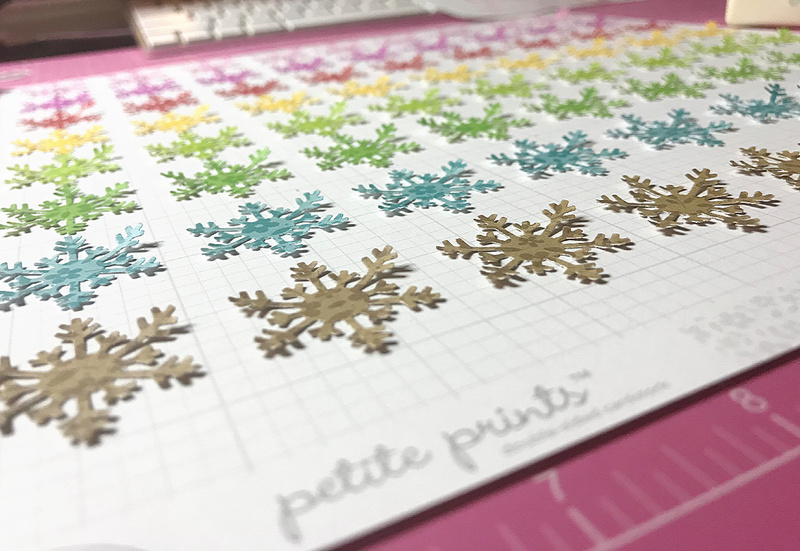 After drawing up a little sketch I worked on creating a background of hand punched snowflakes but I felt the traditional white snowflake wouldn't give the feeling of fun. 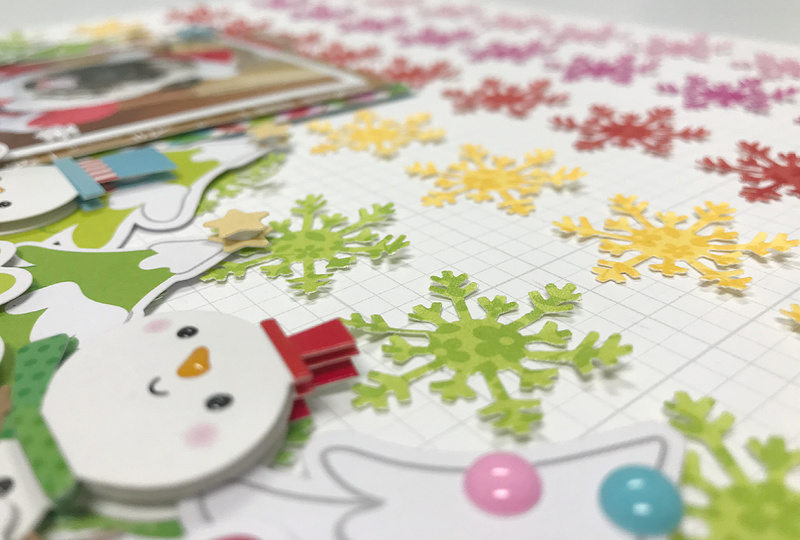 Which is why I ended up with rows of coloured snowflakes to create an ombre affect down the page. 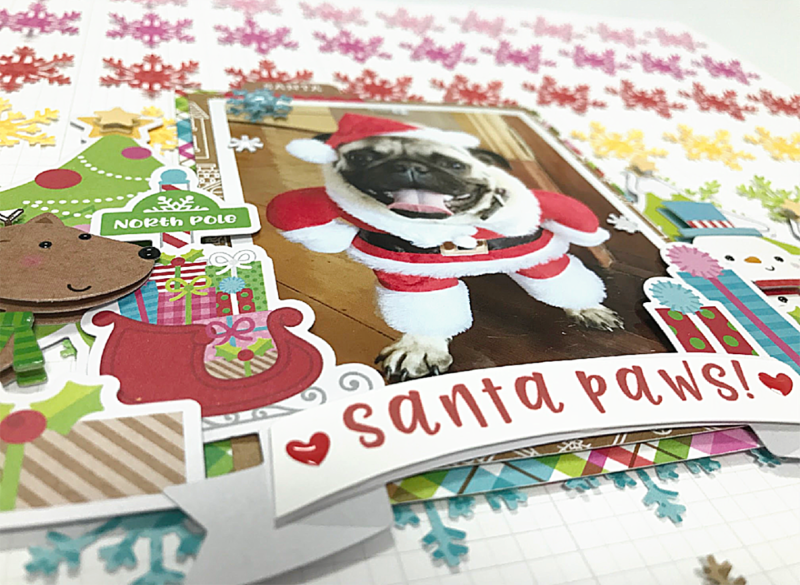 I used the floral side of the brand new Petite Prints Floral/Grid which gave me the exact match of colours to those within the Christmas Town collection. I mounted the photo on a couple of different pieces of Christmas Town patterned paper as it needed the extra color to make it really stand out. 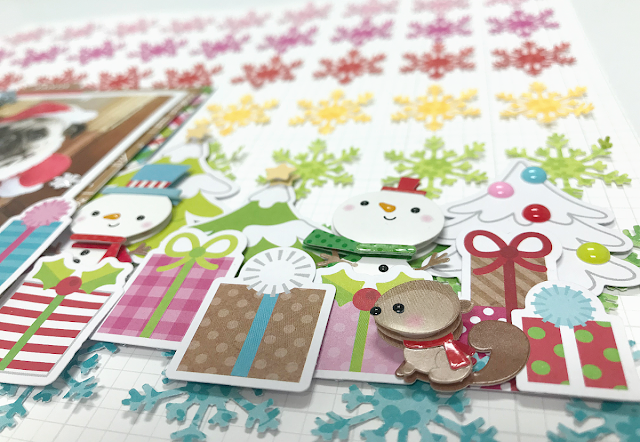 Then I created a little scene across the entire layout filled with the cute icon die-cuts from the Odds & Ends pack. I also added in a couple of the Christmas Town Doodle-Pop stickers as they are perfect for the added dimension. Well doesn’t Dusty look handsome!!! 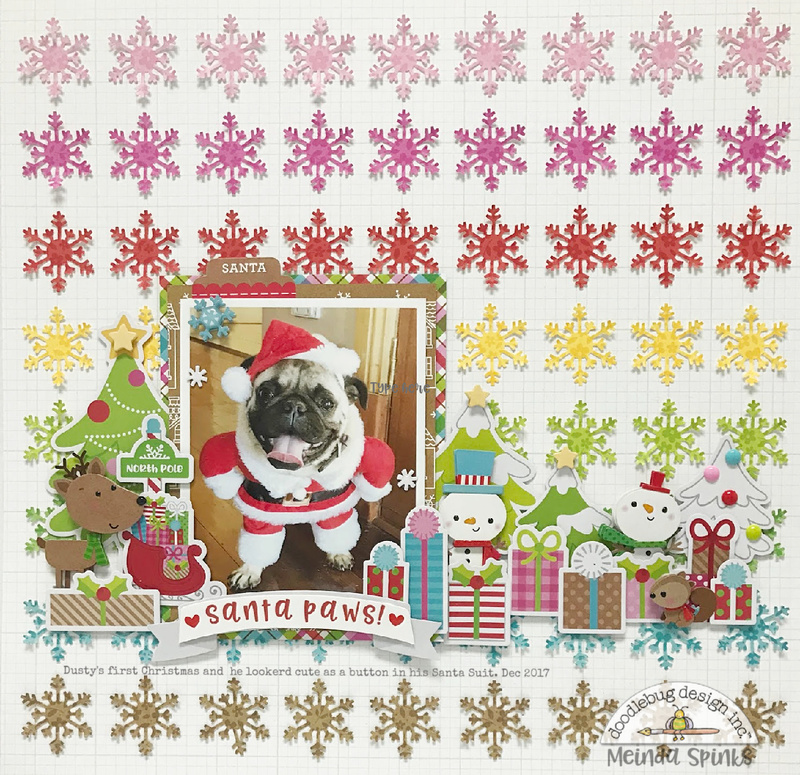 Love this fun layout, the snowflakes are fabulous!! !